Available to all HPA member levels. HPA member registration can include a paralegal or paralegal student guest registration. 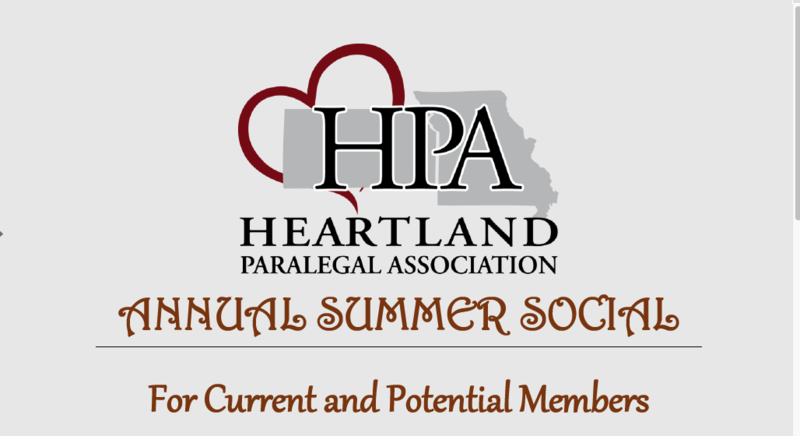 Join Heartland Paralegal Association for the Annual Summer Social at Pinstripes on June 13th! This event is free to paralegals, legal assistants, and paralegal students in the Kansas City and Overland Park area. HPA Sustaining Members are also welcome!